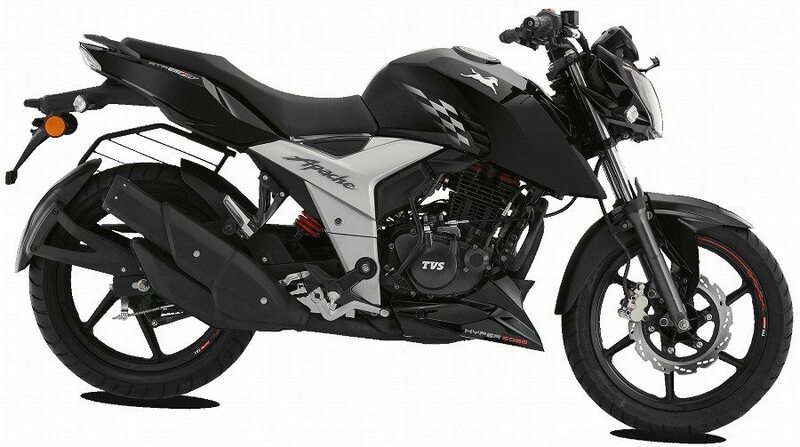 The TVS Apache RTR 160 4V is the sole bike which you could consider if you are in the market looking for a bike with a 160cc engine for power riding. However, even though it is quite popular, there are some pros and cons which might confuse you whether it is worth the INR 82,810 (ex-showroom Delhi) price that the company is asking for it. 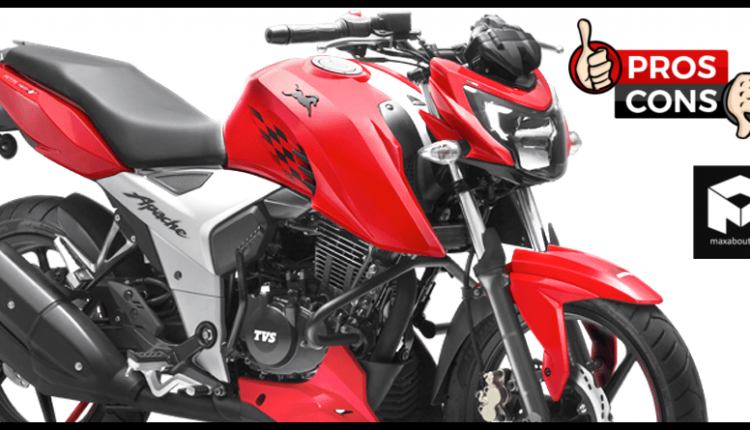 1) Design and Build Quality: The Apache RTR 160 4V looks quite similar to its elder sibling, the RTR 200 4V. The tank shrouds add a muscular look to the bike and the naked headlamp goes on to snarl at anyone who crosses its path. 2) Comfort: It is quite a comfortable bike to ride in the city traffics as well on long commutes. The vibration levels on the bike are quite low at cruising speeds. They only filter through the frame over speeds of 80 kmph. The seat is well-cushioned and the seating position allows long commutes without any backaches. 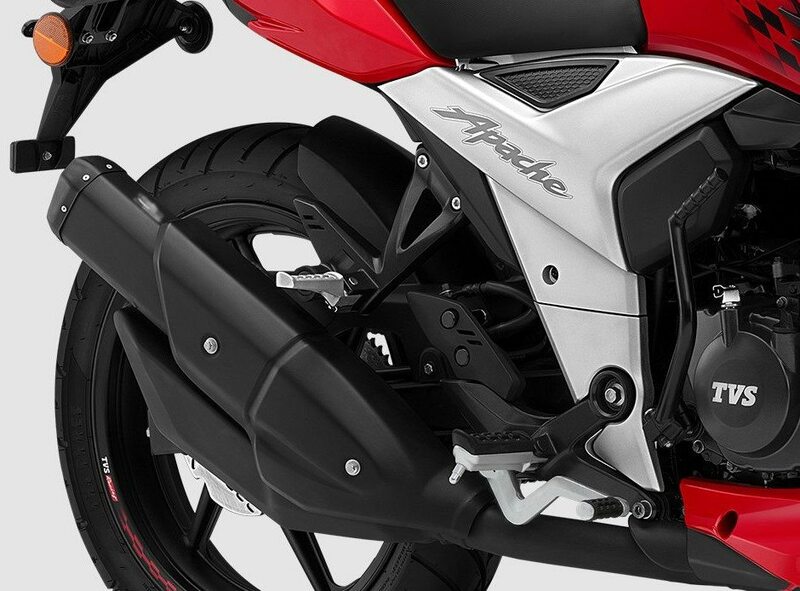 The single-seat provides ample room for both the rider and the pillion. 3) Performance: The 159.7cc single-cylinder 4-stroke oil-cooled engine provides the bike with a maximum power of 16.5 hp at 8,000 rpm and a peak torque of 14.8 Nm at 6,500 rpm. There is an option available for a fuel-injected engine as well. Through the 5-speed gearbox, the bike is able to achieve 0-60 kmph time of 4.73 seconds and 0-100 kmph time of 15.9 seconds. The top speed of the bike is 113 kmph. 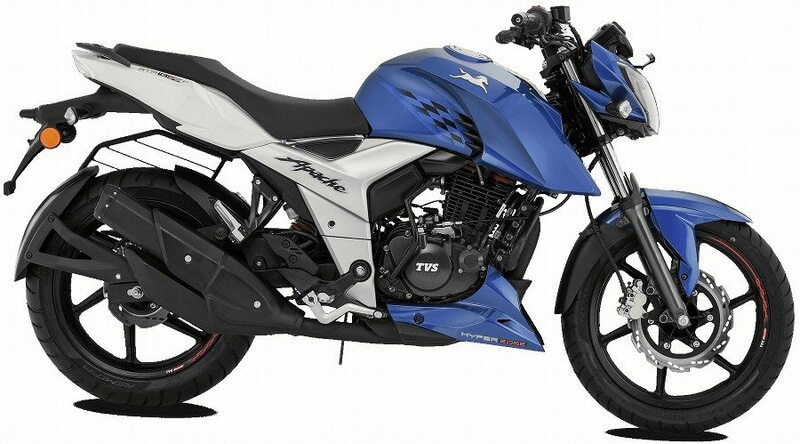 It is quite fuel efficient as well, providing a mileage of around 40-45 kmpl under mixed riding conditions. 4) Features: There is an engine kill switch which allows easy navigation through city traffic jams. Electric start on the bike is a convenience feature that allows easy startup of the bike. 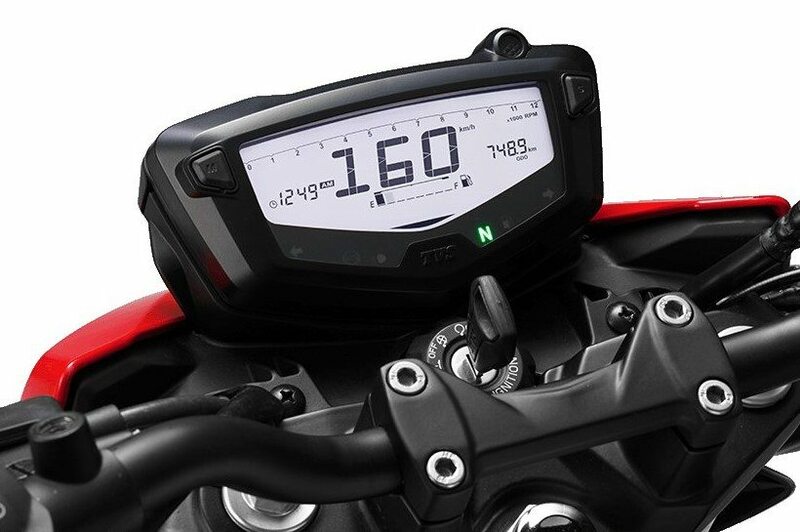 There is an all-digital console with several indicators on the instrument cluster. 5) Service Network: TVS has quite a wide network of dealerships and service centres all across India. 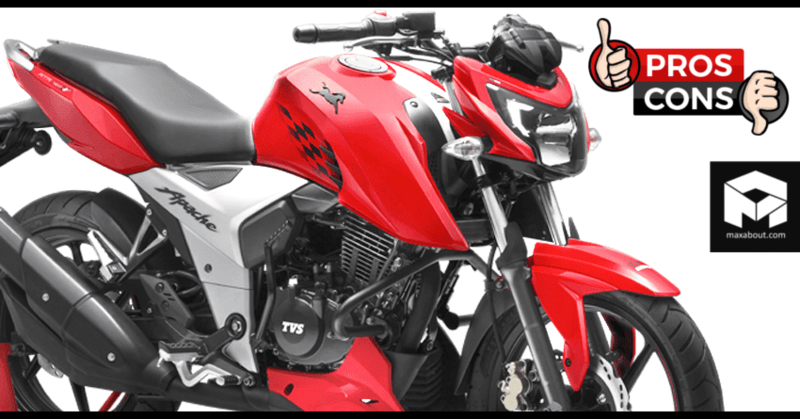 This allows comfort of mind to the customer, knowing that he could take the bike anywhere across the country and would not face any issues. 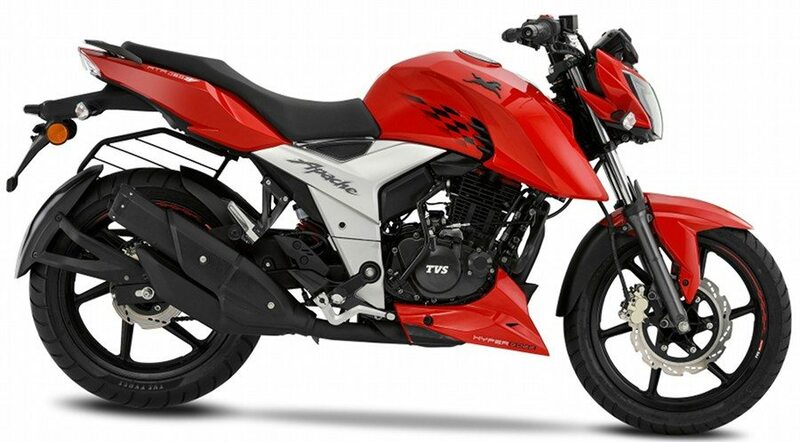 6) Affordability: TVS Apache RTR 160 4V has its prices starting at only INR 82,810 (ex-showroom Delhi), making it one of the most affordable bikes in the segment. There is a wide range of colour options available on the bike. For wider tires and rear disc brake, there is a mid-spec model (INR 85,810), while the top model (INR 91,810) comes equipped with a fuel-injected engine. 1) Lack of ABS: Even in 2018, the bike comes without the option for ABS. This comes as a disappointment since there are options at similar prices that come equipped with ABS. 2) Lack of a 6th gear: Given the performance of the bike, it is a disappointment that the transmission is only limited to 5 gears. The gears are tuned for shorter shifting as well, making it a hurdle while riding in city traffics. 3) Handlebar Positioning: For shorter customers, riding the bike would be quite a challenge. People over 6 feet will have no problem in riding the bike with a straight back. The seat height could have been raised for a more convenient ride.